We all know the feeling when you’re desperate to find the ultimate summer shoe but you simply can’t find it. It’s so annoying, especially when you know it will just top an outfit off. 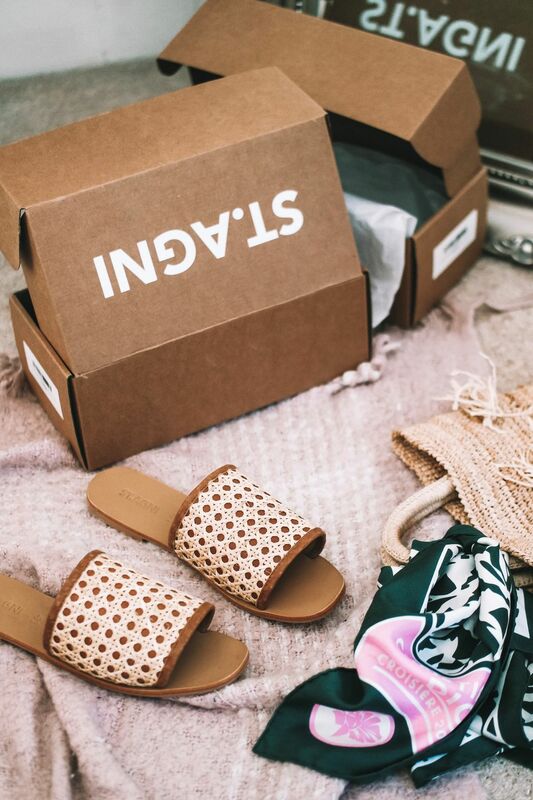 Well, we have some good news, fashion blogger Sinead Crowe of Love Style Mindfulness has found the perfect summer sandal that will go with virtually anything. “Every summer there’s a new struggle to find the perfect summer sandal that will last you through thick and thin. Holidays, lunches, brunches, nights out and festivals, you want a sandal that covers any occasion and most of all is comfortable. I’ve finally found the perfect pair and best of all? They’re timeless. Look after them and you’ll be wearing these babies for years to come! This year anything woven has taken the limelight in the summer sandal stakes and pretty much in any stakes to be honest. Belts, bags and earrings, if it’s an accessory and it’s not woven, we don’t want it. The thing is about the woven trend though, is that it actually doesn’t go out of fashion. Yes it’s having a moment right now but think about the humble basket bag, it’s a bonified summer style staple. Pick the right piece and even when it’s not having it’s 5 minutes of fame, you’ll be wearing it for years to come. I chose this pair because they’re comfy, they’re simple, they’re classic, they’re neutral, and they’re on sale. Girl loves a bargain am I right?! I’ve been eyeing these up on Net-A-Porter for a while now then I spotted them reduced on Atterley and I had to snap them up because if you didn’t already know theres some pretty good perks to shopping at Atterley. 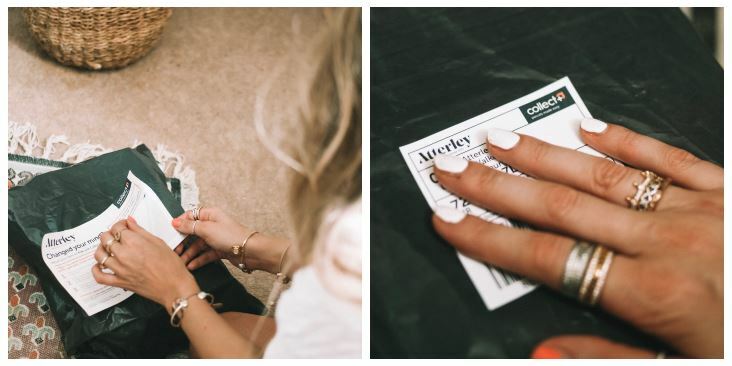 So if you didn’t already know Atterley have just made it onto the heavenly list that we busy shoppers check and go by as our holy grail for last minute (any minute) shopping. The CollectPlus retailers list. If you’re like me and you’re hardly at home but you’ve got a serious shopping habit, then you’ll agree that CollectPlus is the way forward and the answer to our shopping prayers. When I spotted that Atterley had been added to the CollectPlus list for returns it pretty much guaranteed that I’d make this purchase! Having never purchased a pair of St Agni shoes before I didn’t know their sizing at all and I’ve always been a tricky one stuck between a 7 and an 8 so I have to order both sizes which lets face it is always a put off. Usually when I order two sizes of anything it’s just dead money sat there for a couple of weeks until I can finally be bothered to take my order to the (generally inconvenient) location to return it. With CollectPlus you can drop your returns off at your local store, mines the BP garage 5 minutes up the road which is open until 11pm which is an absolute god send for when I need to pick up or drop off. Sometimes I don’t get back from London until 9/10pm! So basically Atterley just became my number one stop for shoe shopping! 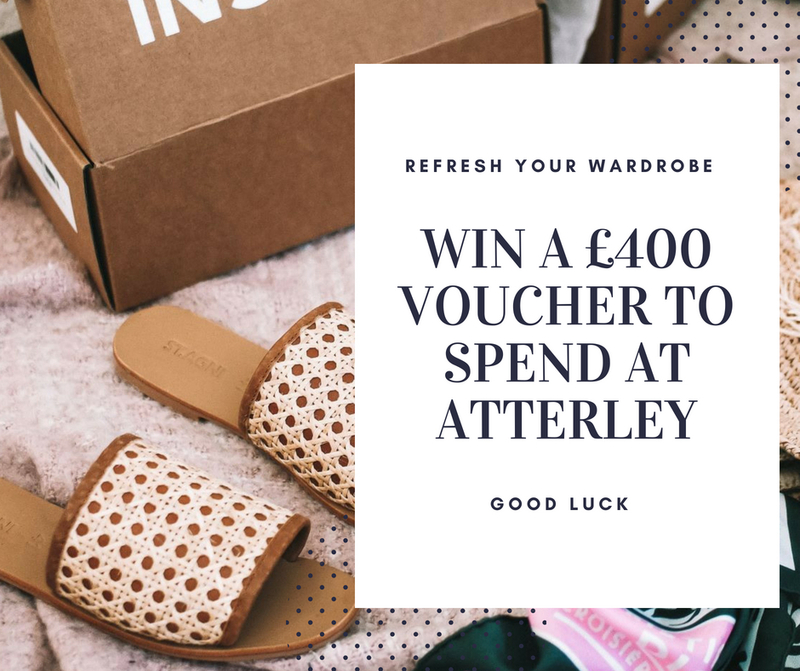 In collaboration with Atterley, we are giving you the chance to win £400 to spend at Atterley on a new season wardrobe. To enter and view full terms & conditions, please click here.